Every order is shipped with UPS/FedEx-branded packaging. Our supplies include (but are not limited to) UPS/FedEx "bubble packs", UPS gray sealable bags, and UPS Express Envelopes. We will use cardboard boxes if the contents cannot fit into the UPS bubble pack. Some items we ship do not include retail packaging from the manufacturer and we are not responsible for this. If you have reason to believe the product has been damaged in transit, please contact us using the customer contact form with your order ID. You will be required to take a photograph and send it to us as proof, so that we may file a damaged goods claim with UPS and send you an exchange. Orders received after 3:30PM EST are processed for shipping the following business day. We are staffed for sales, shipping, repairs, and customer service between the hours of 10-5pm Monday to Friday. 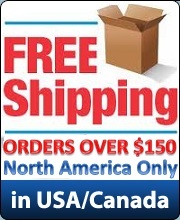 OVERNIGHT SHIPPING for orders must be received no later than 3:00 PM Central time to ensure next-day delivery. We do not commission UPS to deliver on Saturdays, or on days when holidays are observed in North America. I finally got my Xbox 360 Slim flashed through MODCHIPCENTRAL, it got there they notified me and everything went well. It was quick and very easy. Definitely coming back here for all my modding needs.